My four year old is going to preschool, for the third year. Because it works for us. I am at home, but my husband works long hours and this is my break. She is far more of an extrovert than me and this gets her lots of play time without wearing me out. My two year old is joining her part of the time, she was lonesome at home without the big kids. I picked a very play based school. I chose this one because the four year olds build castles from cardboard boxes and honestly, I want to too. Lessons include putting your own coat on, washing your hands, waiting turns, and working out how three kids can play with one costume. We’re starting “preschool” in a few weeks – our old daycare offers it for free and it’s a few hours in the morning. But we’re doing it with the mentality that’s it’s a trial basis and honestly I’m already feeling like I’d rather just enroll him in some fun classes at the rec center so I have a feeling this might be short lived. We’re trying it because it’s there and I just want to know “hey he loves it lets do it” or “hey this is awful let’s stay at home”. If Henry was Lydia’s age (August birthday instead of February) we wouldn’t even be doing this for another year. Freshly four just seems way too early. Even looking at head a kindergarten next year I’m happy to enroll in part days instead of full because full days for my 5.5 year old seems ridiculous and extreme. 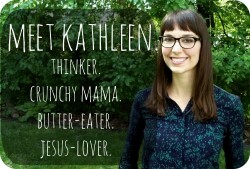 Oh Kathleen! And the journey begins. I’m a mama to four with age ranges from 5-14. We live in Alberta and homeschool them all. I LOVE the confidence that flows through your words. Keep it going because you are going to have all kinds of opinions thrown your way when you tell others who send their children to school, that you have decided to keep yours home….oh the opinions. Homeschooling was the best decision we could have made for raising our family! I don’t ever pretend to know it all but I always seek out the answers to the questions my kids ask. What an EXCITING journey this is. I look forward to reading all about it. I think whatever you do is going to work out fine for Lydia and that there’s no reason to crank up the pressure at such a young age. But I’m not sure that reading early is bad for kids. I know plenty of kids who were early readers and most grew into exceptionally gifted adults. I guess it’s more problematic if you are shoving “reading lessons” down their throat, but I really do think it’s an empowering skill, assuming your kid loves reading storybooks. I know my 3-year-old son loves loves loves to go through books and wishes he could read them on his own. We don’t have the bandwidth right now to teach him, but I am pretty sure that if I taught him to read, it would only help him because he could then occupy himself a little more when I’m dealing with the younger son. Oh definitely — there’s nothing wrong with reading early if the child wants to; but if he/she doesn’t, studies suggest that pushing it is a waste of time at best and harmful at worst. Forcing kids to stay in their seats to learn phonics when they want to play doesn’t get kids anywhere and can be harmful to their long-term health. I suspect Lydia might be an early reader, too. I was chomping at the bit to read by the time I reached kindergarten and would have loved to start earlier. I just find it liberating knowing there’s no hurry. I agree, we aren’t doing preschool either with our 3-year-old. (homeschool or otherwise) I’m kind of disappointed, because all but one of her friends are in preschool this year, which means fewer days of the week we can make play dates. You are wise to let her learn through play, and just be a kid. We had 5 boys, the youngest 2 were home schooled. None of them had preschool and they have grown to be wonderful men who follow their passions. One is a physisist, one a chemical engineer, one a cook and gardener, 2 talented musicians, one a copper artist like his dad, and all very versatile and happy with their work. I loved having them home when they were little and just watching their wonder. I’m a scheduled person who thrives on meeting the practical needs of my loved ones (ESFJ) – I just read this morning about the importance of preschoolers being around other kids – I live kind of rural and while I’m totally down with having 2-3 playdates a week for my daughter (we’re a half hour outside of Austin, Tx so there’s a lot to chose from), we’re hoping to get pregnant soon and the idea of juggling her social needs with the new baby’s nap needs makes start to freak out. A lot. *sigh* I guess that’s part of living far out and in a less communal society. Would love to hear how you might tackle this. I take “homeschool preschool” to be exactly the sort of Montessori activities you’ve been doing for these last few years (minus these last few months, of course). At least, that’s I what thought it was. 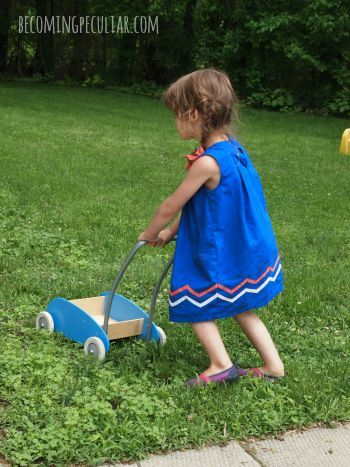 You’re creating a prepared environment for her to have her learn things at her own pace, a curriculum of sorts, albeit very loose, but opportunities for her to learn if she wants to. I think that’s an intentional type of “preschool”! I live in the UK sand here it is normal to send your kids to “nursery” (basically preschool, attached to a school) at three years old! THREE! I also started school at 5 (though I already knew how to read, I always love books and learned to read just before my 4th birthday). My little girl is 16 months and we are feeling like homeschooling is a strong possibility for us, but we will decide closer to the time (she is super social and LOVES being around other kids, so that might play a role in deciding what her education looks like). So so happy that Felix is coming home with you guys! He is such a little cutie and I often send good thoughts to you guys across the ocean! My daughter loves to learn right now and I’m afraid the official school system will kill that in her.